LEIPZIG -- A German court on Thursday delayed a ruling on whether major cities can ban heavily polluting diesel cars, which could hit the resale value of 15 million vehicles in Europe's largest market and force automakers to pay for costly modifications. Judge Andreas Korbmacher said the country's highest federal administrative court would rule on Feb. 27 on an appeal brought by German states against bans imposed by local courts in Stuttgart and Duesseldorf over poor air quality. The court is due to rule on whether the bans are legal after environmental group DUH sued city authorities. The DUH is also pursuing bans in many other German cities. During proceedings in Leipzig on Thursday, lawyers discussed whether the government would have to introduce a new way of labeling cars to enable authorities to enforce any bans. Judge Korbmacher suggested the European Court of Justice might have to consider the issue of whether bans are permissible. A small group of protesters from Greenpeace gathered outside the Leipzig court, with images of lungs painted on their chests and holding up signs reading "Clean Air Now." "Because the government has failed to do anything for years about exhaust problems in the cities, judges have to decide today how residents will be protected from bad air," said Greenpeace transport spokesman Benjamin Stephan. The threat of bans has prompted a big fall in sales of diesel cars in Germany, down to just a third of new car sales in January from almost half before the VW scandal. 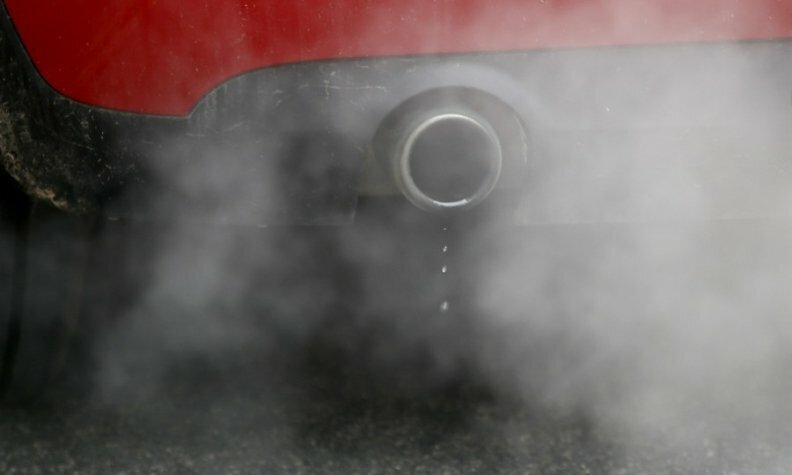 Environmental groups have called software updates insufficient and have lobbied for cars applying the latest Euro-6 and older Euro-5 emissions standards to have their exhaust treatment systems upgraded. "Diesel might get its final kiss of death (from the court ruling)," Evercore ISI analysts wrote in a note to clients. German auto safety group ADAC said that hardware retrofits of Euro-5 vehicles cost between 1,400 ($1,719) and 3,300 ($4,053) euros and can cut diesel pollution by up to 70 percent. Diesel bans could trigger a fall in vehicle resale prices, also known as residuals, which are used as a benchmark for pricing leasing and finance contracts. "The decline in diesel residuals towards the end of 2017 showed a clear acceleration, ending the year at 52.6 percent, having started the year at 56 percent," analysts at Evercore ISI said in a note on Wednesday. Diesel bans in the birthplace of the modern automobile would be a new blow for the car industry, and an embarrassment for Chancellor Angela Merkel's government, which has backed it. Merkel's government, which has come under fire for its close ties to the car industry, has lobbied against bans, fearing they could anger millions of drivers and disrupt traffic in cities, with public transport not in a position to take up the slack. In an attempt to avert bans, Merkel's government agreed a deal with carmakers last year to overhaul engine management software on 5.3 million diesel cars as well as funding for cities to help cut emissions by taxis and buses.